If you go down to the woods today, you're sure of a big surprise. Such as a gorilla or a giant spider or maybe nothing more scarey than a tortoise or squirrel. It's all part of the mile-and-a-half walk at the Forestry Commission's Skelbo woodland ramble, a little north of the Dornoch turn off. Marge and I took it in, again, on our way north recently and got the unexpected bonus of sudden sunshine which lit everything up. The animals, which I hasten to add, are not real but great fun for the kids to discover and there are feeders in the trees for the birds. The weather is on the turn but an autumnal walk could have its own attractions. Don't forget your cameras! More funding opportunities posted in the Community Pages. These funding opportunities apply to a wide range of potential projects and cover many subjects so take look. Almost 7 in 10 people rated dog mess as the item on our streets, parks and beaches that bothered them most; that is the finding of recent research into public attitudes to littering carried out by Keep Scotland Beautiful which is running a Dog Fouling Fortnight from the 30th September to 13th October. The campaign, which is being supported by The Highland Council, aims to highlight the problem presented by irresponsible dog owners who allow their dogs to foul in public spaces. Lung Ha’s Theatre Company & Stellar Quines Theatre Company in "13 Sunken Years"
If this is Autumn can we get plenty more please. If you want to learn or improve your dancing skills get your place booked for the latest session being organised. Already 16 places are gone. but stil time for you to book. 4 dances covered with one hour for each. They will start about 11am and there will be a break for lunch. Final times and venue to be confirmed. Waltz, Quickstep, Cha Cha Cha and Jive and a social dance in the evening to let you try out your new moves. Just posted today a range of used cars from Dunnets Garage in Wick and Thurso. Noel Donaldson Poses The Question - Who Were These Folk? Noel Donaldson found this one amongst his father's files. It is a postcard but there's no clues on the back as to what the gathering was all about. Possibly a town council affair with presentations to coastguards, perhaps. Might have been taken in the Johnston studio. Can anyone help? See Forum discussion on this photo - ideas already in. Looks like they are Orcadians as this is Kirkwall cathedral and could be the Kirkwall provost going by the chain. OBVIOUS why Jenny Barnie from Dunbeath was chosen a beauty queen. It wasn't yesterday ... away back in 1945, the year I was born, in fact, writes Noel Donaldson. I came across the photo when Marge and I were clearing the attic. Jenny was 20, when she was chosen Miss 1946, in December 1945, for Wick's forthcoming old New Year celebrations. The late Isabel Salmon wrote about things she new and remembered in the Caithness dialect. Thanks to Margo Mackay for supplying another treasure trove of local dialect poems for everyone to read if they never managed to get the little book when it was available. To open a larger version of each page just right click and open a new tab or window. 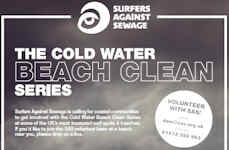 Cold Water Beach Clean Series Events at Thurso and Reiss Beach at Sinclairs Bay on 5th and 6th of October from 12 - 2pm. The Cold Water Beach Clean Series, a new SAS initiative in collaboration with The Crown Estate and Finisterre is calling for community volunteers of all ages and abilities to join the SAS beach clean team on 20 beaches nationwide (including Thurso, Sinclairs Bay, Cruden Bay and Pease Bay on the 5th, 6th, 7th and 8th of October respectively) come rain, snow, sleet or shine. Just as some of the UK’s best waves and wind unfurl on our beaches during the coldest months, marine litter accumulates in huge quantities on our coastline, threatening the safety and enjoyment of beaches by surfers, walkers and other sports enthusiasts during the winter months. TWO medical agencies in Thurso have benefited from new equipment funded by Caithness Heart Support Group. Testing a vital signs monitor on group member, Janice Macgregor, (seated left) at the Dunbar Community Hospital, is auxiliary nurse, Janice Falconer., front right. Also pictured (standing left) are minutes secretary, Janette Sinclair, and secretary/treasurer, Marge Donaldson. The group members also kept a presentation appointment (below) at Thurso's Riverbank medical centre where practice nurse, Lea-Anne Taylor helped to check out a blood pressure monitor. Racketball come and try night. All adults welcome – young and old! Every Friday from 7-9pm At Wick Squash Club, Harmsworth Park, South Road Just bring shorts or joggers, t-shirt and trainers. We’ll supply the rest. Winter nights are coming, don’t be a couch potato. It only takes an hour and is a great form of exercise. It is a great way to work away the stresses of everyday life. A great night is being anticipated as the Thurso band Cover2Cover Return to rock the Thurso Cinema Bar on Friday 4th October 2013 from 9:30 till late. Playing a selection of classic songs from country,rock and pop. Briniing live music back to the cinema bar extends the range or entertainment being expanded at the venue since its take over by a new owner. Up to six turbines will be initially placed in the Inner Sound of the Pentland Firth off the north coast of Caithness, Scotland, the first phase of what developers hope will be a much larger project. MeyGen Ltd. (London, U.K.) has been awarded consent by the Scottish Government for an 86MW tidal energy project, following the completion of the statutory approval process with the regulator Marine Scotland. The project is located in the Inner Sound of the Pentland Firth off the north coast of Caithness, home to one of Europe’s greatest tidal resources. It is the largest tidal stream energy project to be awarded consent in Europe and constitutes the first phase of a site that could eventually yield up to 398MW. Police Scotland is today announcing the launch of a new campaign to target those involved in hare coursing, code named, Operation Lepus. Improvements to the winter maintenance service provided by The Highland Council were confirmed by the Transport Environmental and Community Service Committee at its meeting today (Thursday). A review of priority routes has resulted in a 76-mile increase in the length of Priority One routes to 1,319 miles (31% of the network). Treasure trove of events on offer as 20th year of Highland Archaeology Festival is launched. The programme for the Highland Archaeology Festival, which this year celebrates its twentieth year, has been launched with a bumper line-up of events taking place across the Highlands. The fortnight-long Festival, which is co-ordinated by The Highland Council’s Planning and Development Service in partnership with dozens of local event organisers, will run from 28th September to 13th October, with over 100 walks, talks, exhibitions and special activities aimed at local people and visitors. The Highland Council has appointed Rope Access Scotland Ltd to undertake rock stability works in the vicinity of Smoo Cave near Durness in Sutherland. The work, which commences on Monday September 30th and is expected to take two weeks to complete, includes light rock scaling, netting and bolting and will be overseen by geotechnical experts from consultants URS Infrastructure & Environment UK Limited. For the duration of the works both the cave and paths down to the cave will be closed for public access. The eastern path to the headland and the bridge over the waterfall will be kept open except for short periods when work is taking place immediately adjoining or underneath. For their own safety, visitors are requested to follow all instructions provided on site. Members of Wick Coastal Rowing Club took advantage of a particularly high tide to row up Wick River as far as the "Fairies Hilly" - the furthest up river they have been with "Spirit O' Wick" so far. For those of "a certain age" it brought back memories of summer days spent on "the boatie's" which could be hired on the river before the sluice was removed. As major refurnishment gets going the wick Town Hall has been surrounded by scaffolding to gain access to the outer walls. Internally work began once the building ws emptied of furniture and pictures. A new lift will be installed to allow acccess for wheel chairs to the main chamber and ofices on the upper floor. The building has been a main feature of Bridge Street since the 1820's when it was built. The clock mechanism is currently having work done to restore it to good order. The wall at the back of the Wick council offices facing the river Wick has been partially taken down as work continues. Nursery children at Bower Busy Bees are thoroughly enjoying the recent revamp of their outdoor play area. The Highland Council Community Payback, under the management of Rodney Brass, painted the wooden fence, furniture and play equipment within the nursery garden ready for the children returning from the school holidays. Marina Swanson, chairperson of the Bower Busy Bees said:“We are extremely grateful to Rodney and his team for carrying out such a fantastic job with the painting work. Assessor & ERO’s Office at 3A Bridge Street, Wick remains open for business as usual during the renovations at the Town Hall. The works will take around 8 months to complete but the Assessor’s Office will be open as usual during office hours; 9am-1pm & 2-5pm Monday to Friday. Delivery of mail to the Assessor & ERO is also restricted to the aforementioned office opening hours. Work is to begin on the largest tidal turbine energy project in Europe after the Scottish government approved it. MeyGen is to install the tidal array in stages in the Pentland Firth, between Orkney and the Scottish mainland. Members of the Pentland Model Boat Club based in Thurso were away to Coatbridge last weekend for the annual regatta of the Scottish Federation of Boat Clubs. The regatta this year was held in Summerlea Museum. Ted Miller who has built many model boats and has great eye for detail won the boxed section with his model "Yorkshireman". In addition he picked up a third place for another model - the lifeboat "Helen Comrie". In the scratch built section took Billy Macintosh took a third place with his model of "Thorsa". Is It Time To Beat Rising Food Prices By Growing Your Own? With prices rising ever upwards in the past few years perhaps the time has come for everyone to grow more fruit and vegetables to ease the household budget. Wartime in the UK saw many people take up vegetable gardening but as times went by and family incomes rose less and less was grown at home. Allotments fell into disuse but with rising costs and family budgets being squeezed many more place are looking to open their allotment areas once again or create new ones. Highland Council is backing a number of new schemes to increase the availability of ground for growing vegetables and soft fruits. The video we are highlighting shows the war time ideas to get people back into gardening for the war effort. Perhaps today it wil help family budgets if more of us give this way of feeding the family a go. Caithness.org Gardening Forum Highland Council Policy on Allotments To find out about Allotments in your area contact the ward manager. Another great result for the Scorries as they trounce coldstream 6 - 0 and delighted 150 fans who travelled to the game in the far south of Scotland. Scorries now go into the second round of the Scotitish cup. If any local business would like photos of their vehicles added to our growing galleries then just email photos to bill@caithness.org A link to your FREE business page in our Business Index wil ba added. Remember you can get more information added to your FREE business page any time by emailing details to bill@caithness.org If you want more coverage than all our free items then get in touch. If your business has a plain van don't worry we will add text to the side of it to get your business name on the photo but evenbetter if you get your details on the van before you take the photo - probably your best and cheapest ad. But hey our photo gallery is FREE and while we build a historical gallery of the vehicles in Caithness you get free advertising. Get clicking and emailing. We will take a few as we go about the county but may it be while until we luckily cross your path. A few minutes to take and send us a photo or two of your business vehicles will bring years of FREE advertising on our site. Send of different vehicles, plant or machinery. To see all the vehicles already in start HERE. Starting soon a separate taxi/mini bus section. Police in Highlands and Islands report numbers detected during national seatbelt day of action. Police Scotland Highland and Islands Division report that 33 people were found to be within vehicles without wearing a seatbelt during the national day of action, which ended yesterday morning. The national 24-hour long initiative saw a total of 378 vehicle occupants detected committing such an offence across the country, 33 of which were within the Highlands and Islands. With news tha the council wil finally close the car park at the old community woodland we thought you might like to see what great progress the new woodland has made. Paths have been laid out around thenew site and many trees plants. The new woodland area is much larger than the old one and wel worth a walk round. There are paths in several directions and great views of the countryside from there. The Inverness public is being advised that work will start in earnest from Monday 16 September on the construction of flood walls along the River Ness between the Ness Bridge and Friars Bridge. Every attempt is being made to minimise disruption by maintaining at all times pedestrian access to shops and businesses, which will continue to trade as normal. Signs have been put in place to give motorists advance warning of the works, which are part of an £8.5 million first phase of flood wall construction to ease the threat of flooding to 800 homes and 200 businesses. Highland pupils find out all they need to know about life after school. Young people in the Highlands who want to find out about life at university can come along to Skills Development Scotland’s (SDS) Higher Education Convention in Inverness. The Convention, at Smithton Church, Murray Road, Inverness on Thursday 26 September, brings together college and university representatives from all over Scotland. It offers students an opportunity to compare and contrast courses in one place at one time. There will also be representation from all of the armed services and four key industry sectors - IT, Oil and Gas, Land Based and Life Sciences at the event. Some of the Caithness Rush.dance kids have just competed at Fusion Street dance Championships in Dundee. . he kids travelled Saturday with instructor Willie Miller and parents to Aberdeen for stay over before travelling on to Dundee on Sunday morning. All the kids had a blast whilst staying over as a group and it also gave the parents time to chill after the journey. This is your opportunity to sail to explore the fascinating Island of Stroma directly from the Scottish mainland at Gills Bay. Join the ranger and learn about the flowers, birds and seals of Stroma. 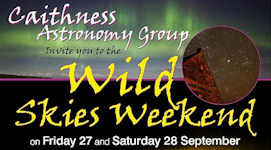 This is also an opportunity to learn more about the history of the only island belonging to Caithness. Bring walking gear and pack lunch. Numbers limited so early booking essential. Departs Gills Bay. Alec Webster has finished harvest at Lower Reiss Farm, Caithness, but still has about 10 days’ combining to do for neighbours. People who put their lives at risk by failing to do the straightforward task of securing their seat belt will find themselves the focus of a 24-hour Police Scotland initiative on Wednesday 11 September 2013. Police officers across Highland and Islands Division will be involved in the national day of action aimed at 'Keeping People Safe' on Scotland's roads by targeting offences related to the use of seat belts and child restraints. A few events coming up to get you out and about seeing the county. Police in the Highlands and Islands and partner organisations are asking mountaineers and hill walkers to complete the updated "Going to the Hills” contact form this winter, prior to heading out into the Scottish mountains. The form asks for a few simple details to assist in a search and rescue, should the need arise, such as details of those in the walking or climbing group, planned route, expected return time as well as medical and emergency contact information. It takes no longer than a few minutes to complete and could make a huge difference if you find yourself in difficulty. The Highland Council has started publishing planning notices on a national website to complement the current system of placing adverts in the local press. Along with other Scottish Councils, The Highland Council is using the Tell Me Scotland (Public Information Notification Scotland – PINS) website to publish planning notices. This site is linked to the Council’s own ePlanning public access portal which many people already use to access information on a wide range of planning issues. It might look like Halloween has come early but this walk is to let you see some of the creatures that get around at night time. The rangers have organised this evening walk so that it will be darker to let folk find out more about the creatures inhabiting our area that come out at night. The parent firm of a major shareholder in a seabed lease from the Crown Estate in the Pentland Firth is vowing to establish a 'European industrial nerve-centre fore tidal turbines' ... but almost 1,000 miles away from the North of Scotland. It is stating that it aims to create 1,000 jobs in manufacturing tidal turbines on the French coast of the English Channel, with 100 high-tech 'horizontal hydro' devices being fabricated there each year from 2018 onwards. The new owner of Open Hydro, the unique 'polo-mint' devices for generating electricity from fast-flowing sea currents, has a 50% stake in one of the four seabed licences granted in the Firth by the Crown in 2010, with Perth-based Scottish & Southern Energy's renewables subsidiary holding the other half of the concession, which lies seven miles across the water from Gills Bay on Caithness's North coast. A group of Caithness and Sutherland businesses, including Wick Harbour Authority and Scrabster Harbour Trust, have travelled to Suffolk to look in detail at the services and facilities offered at the extensive offshore wind operations base which has been established there. The visit to Lowestoft was funded by Highlands and Islands Enterprise (HIE) as part of a learning journey as Caithness continues to position itself to become a key base for offshore wind developments. Another 26 photos of Commercial Vehicles on Caithness added to the growing gallery. If any business would like a photo of the business vehcile added to the gallery just email photos to bill@caithness.org. To See from the start of the General Vehicles section go HERE We are on the look out for any photos of older vehicles that used to be operating in Caithness and would be happy to add these also to other sections. For more about Wick Sea Cadets see the web site. Police in Highland and Islands report numbers of speeding motorists detected around region’s schools in recent initiative. Police Scotland Highland and Islands Division targeted speeding motorists around areas of restricted speed limits close to schools for the first fortnight after returning from the summer holidays, in order to ensure the safety of all school attendees and encourage motorists to drive at lesser speeds. The division-wide initiative saw a total of 34 motorists being issued with a Fixed Penalty Notice or reported to the Procurator Fiscal for speeding offences close to primary and secondary schools in the region, where 20mph restrictions are in place, during the two week period (20-30 August 2013). The main topic for the joint ward forum will be presentations regarding the newly formed police and fire services for Scotland. Consultations are ongoing through September and October. Following the presentations the normal ward forum business will be conducted. On Friday 20th September we will be working in partnership with DOON MAJOR to bring you 'An end of Summer Dance' here at the centre. 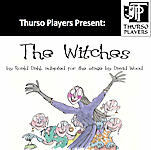 Dance tickets are £8. Telford's Cafe will also have a limited number of Dinner & dance tickets available at a cost of £20 which includes a 2 course meal plus your dance ticket. The meals will be available between 6pm-8pm. A fully licensed bar will be available from 6pm onwards. Tickets are available from the centre now. Don't miss out! today at Riverside car park, wick you can get your dog checked over free of charge the PDSA. The PDSA van is parked near the boating shed at riverside , Wick. the last check of a dog will be done at 3.45pm so get over soon as you can. Subsea 7, a global leader in seabed-to-surface engineering, construction and services to the offshore energy industry, is investing over £5.5million in refurbishing its pipeline Bundle fabrication site at Wick, Caithness. Established in 1978, the fabrication site is located six miles north of Wick, Caithness in the North of Scotland. This unique site runs 7.8km inland, covering a total area in excess of 300,000m2 and has a sheltered bay in which to launch the pipeline bundles. The refurbishment programme is set to be carried out in two phases and includes new state-of-the-art equipment for five firing lines, a 230m extension to the main fabrication shop and a new office and welfare complex at the landward end of the facility. The first phase which began in 2012 is now complete with the second phase of refurbishment scheduled for completion in 2014. If you are in business then you maybe need some ideas on how to expand or increase your trade. We have linked a few interesting videos in our business pages made by UHI and for tourism from Interface. If you have never seen any of them they may assist your thinking about your business and if you click through you wil find more informative videos at both sites on Youtube and on their web sites. The Highland Council is to write to Highland MPs to seek their support for a change to the spare room subsidy which would see all communities with a population of 3,000 or less excluded from the provisions in recognition of the absence of the appropriate housing stock to accommodate tenants who wish to move to a smaller house.